In contrast to the relatively late introduction of players of African descent that joined the city’s football team, rugby league was a comparative trailblazer for promoting the talents of players with such heritage. 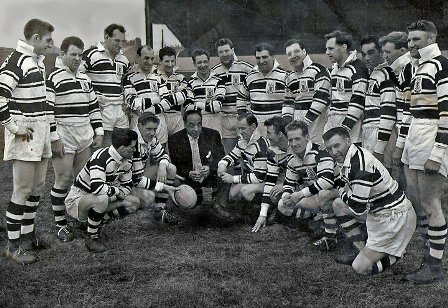 Whilst Clive Sullivan is arguably the most well-known of such players and one who transcended the city rivalry between Hull FC and Hull Kingston Rovers, it was Roy Francis, from an even earlier era, who initially made a huge impact on the club and the sport. The sport itself has prided itself as being far more progressive and inclusive than many others. 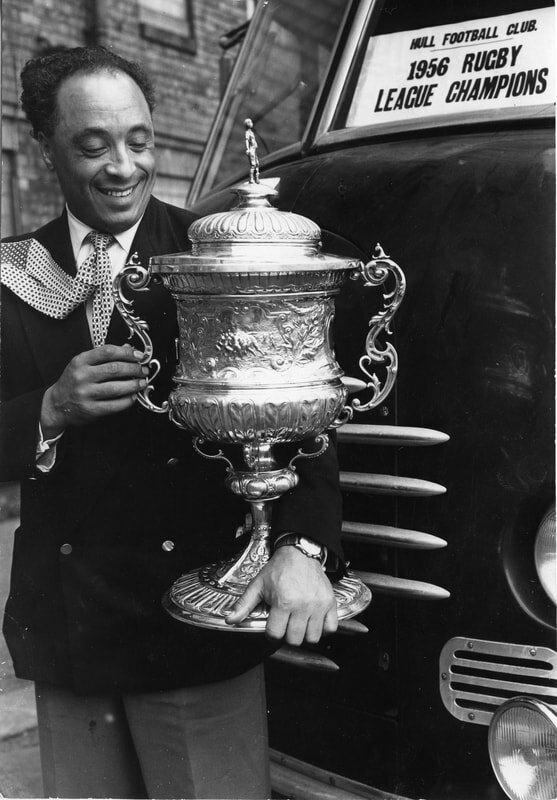 Back in the 1930s at a time when Black boxers were prevented from fighting for British Championships and Black sportsmen struggled to gain traction in other sports, Black rugby league players started to make an impact with Roy Francis one of the first to do so. Roy Francis was born in Brynmawr in South Wales in 1919 and lived in the Tiger Bay area near Cardiff. Initially he played rugby union for Brynmawr RFC before becoming one of the first Black rugby league players when he joined Wigan as a seventeen-year-old on 14 November 1936. He made his debut for Wigan on 26 March 1937 but played just twelve games for the club before he moved to Barrow in January 1939. With the outbreak of the Second World War Francis became a Sergeant in the British Army. He played rugby union for the Army but also made guest appearances playing rugby league for Dewsbury. Amongst the games that he played in was a representative game for the Northern Command XIII against a Rugby League XIII at Thrum Hall, Halifax on 21 March 1942. Throughout the war he continued to represent Dewsbury featuring in three successive Championship finals as they beat Bradford and Halifax but lost out to Wigan in 1944. Zealand in 1947. He was then controversially overlooked for the following Ashes tour to Australia for political reasons as the organisers feared that it may cause problems as Australia had in place at that time an infamous bar on non-white people. He joined Warrington for £800 in July 1948. Roy Francis played in Warrington's defeat by Huddersfield the Championship Final during the 1948–49 season at Maine Road, Manchester. He moved to Hull in November 1949 for a fee of £1,250. Francis played his last game on Boxing Day 1955 before switching to coaching, a field in which he was to make an even greater impact. Francis became the first Black professional coach in any sport in Britain when he was appointed coach for Hull FC in 1954. His man-management, coaching methods and use of psychological techniques were considered twenty years ahead of their time. He was the first coach to embrace players' families and offer them transport to games. Under his leadership Hull FC won the Championship in 1956 and 1958. Roy Francis was also the coach in Hull's two Cup Final appearances in 1959 and 1960. Francis left Hull for Leeds in 1963 and oversaw their victory in the famous 1968 Challenge Cup Final when Don Fox missed with the last kick of the game for Wakefield Trinity. Francis then moved to Australia to coach the North Sydney Bears for the 1969 New South Wales RFL season and stayed until 1970.
resentment in Australia and this prompted him to return to the UK in 1971.He become Hull's team manager again from 1971 to 1973. He later won a Premiership title back at Leeds during the 1974–75 season, before finishing his coaching career with Bradford Northern from 1975. Francis died in 1989 but is forever remembered for the quality of the rugby that his sides played.